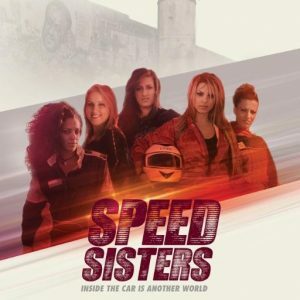 Weaving together their lives on and off the track, SPEED SISTERS takes you on a surprising journey into the drive to go further and faster than anyone thought you could. The film details the myriad problems the women encounter while racing for the Palestinian Motor Sports and Motorcycle Federation, founded in 2005. The races are held in such locations as a vegetable market and a helicopter pad, although in recent years they’ve found a home base in Jericho. Simply getting around is a logistical nightmare, with Israeli military checkpoints omnipresent. Interweaving the personal stories with rough-hewn footage of the racing competitions, Speed Sisters is an entertaining portrait of its engaging subjects who have become instant role models for young Palestinian women.